The Monaco Yacht Show 2017 certainly didn’t disappoint in terms of yachts on display, with 580 exhibitors, 125 superyachts and 45 world debuts, but what did the brokerage industry’s leading figures make of the 27th iteration of the world’s premiere yachting event? Once again Fraser had an unmissable presence at the Monaco Yacht Show, with seven yachts from 42 to 77 metres on display, including 45 metre Scout (pictured above), in addition to its prestigious Captains' Dinner. Despite this, Fraser CEO Raphael Sauleau reported, "We have heard some comments that the overall selection of yachts was not at its best." Setting aside the general rise in explorer yachts among new-build projects, he explained, "Yachts presented are, in general, falling into the same category per segment year after year, with the exception of a few innovations in design as well as propulsion." Looking ahead at what could be done to improve MYS, Sauleau suggested, "The show needs to make sure that they encourage enough new clients to attend and ensure that their time here is efficient. It is a very busy show, often with many people on the docks (especially industry people) making it impossible to get around the show quickly. This is a well-established show and clients are keen to come here, however, sometimes this is more about the social events than any serious intention to purchase a yacht." The Monaco Yacht Show 2017 certainly didn’t disappoint in terms of yachts on display, with 580 exhibitors, 125 superyachts and 45 world debuts, but what did the brokerage industry’s leading figures make of the 27th iteration of the world’s premiere yachting event? Once again Fraser had an unmissable presence at the Monaco Yacht Show, with seven yachts from 42 to 77 metres on display, including 45 metre Scout (pictured above), in addition to its prestigious Captains' Dinner. Despite this, Fraser CEO Raphael Sauleau reported, "We have heard some comments that the overall selection of yachts was not at its best." Setting aside the general rise in explorer yachts among new-build projects, he explained, "Yachts presented are, in general, falling into the same category per segment year after year, with the exception of a few innovations in design as well as propulsion." Looking ahead at what could be done to improve MYS, Sauleau suggested, "The show needs to make sure that they encourage enough new clients to attend and ensure that their time here is efficient. It is a very busy show, often with many people on the docks (especially industry people) making it impossible to get around the show quickly. This is a well-established show and clients are keen to come here, however, sometimes this is more about the social events than any serious intention to purchase a yacht." The 110 metre Oceanco flagship Jubilee (pictured above) made history as the largest yacht exhibited at Monaco to date — a real feather in the cap of central agent and project manager Burgess. Director of marketing and communications Alev Karagulle reported that “despite global geopolitical uncertainties, the appetite for superyachting is still healthy”, with the standard of new-build projects in particular creating “a positive signal about the state of the industry”. However, she did argue that the organisers should “move closer to understanding the industry and its challenges in order that the exhibitors who consistently support the show with good quality tonnage can continue to do so”. The 110 metre Oceanco flagship Jubilee (pictured above) made history as the largest yacht exhibited at Monaco to date — a real feather in the cap of central agent and project manager Burgess. Director of marketing and communications Alev Karagulle reported that “despite global geopolitical uncertainties, the appetite for superyachting is still healthy”, with the standard of new-build projects in particular creating “a positive signal about the state of the industry”. However, she did argue that the organisers should “move closer to understanding the industry and its challenges in order that the exhibitors who consistently support the show with good quality tonnage can continue to do so”. 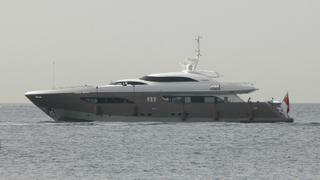 Florida-based Moran Yacht & Ship exhibited three brokerage yachts in Port Hercules this year — 44 metre Bella Vita, 55 metre Madsummer and 58 metre Astrid Conroy (pictured above). Moran’s Chris Callahan told Boat International, “I thought this year's fleet was great, with an impressive selection of boats from builders and brokers alike. I thought the atmosphere was great too — most of the people I spoke with had a very positive outlook for the brokerage market and I believe that will carry through to the Fort Lauderdale International Boat Show next month.” He added that the most important topic for conversation on the pontoons was how the Caribbean superyacht community will recover from Hurricane Irma and Maria. “I think it is important for charter managers and brokers alike to persuade their clients to still consider the Caribbean as an option this winter,” Callahan argued. “With economies that rely heavily on tourism, it is one way we as an industry can help them to rebuild.” The cost of attending boat shows also came up regularly. “Whether it is a builder, broker or product manufacturer, the cost to exhibit is astronomical. I don't know how much longer the yearly price increases are going to be sustainable before there is some major pushback,” he concluded. The cost of attending boat shows also came up regularly. “Whether it is a builder, broker or product manufacturer, the cost to exhibit is astronomical. I don't know how much longer the yearly price increases are going to be sustainable before there is some major pushback,” he concluded. Glynn Smith of Denison was particularly upbeat about this year’s Monaco show, crediting the good weather and high quality of yachts on display for the strong turnout and steady flow of visits to 40 metre Namaste (pictured above), which was anchored off. 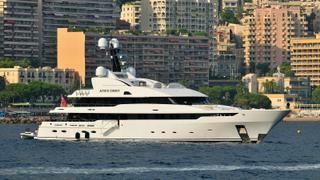 “For sales and market trends we were still seeing a strong American clientele, while explorer yacht projects were being discussed in regular conversations,” he said. “Another huge topic was the recent hurricanes in the Caribbean and how this would impact this coming season’s charter market. I would urge any yacht going there to please take supplies to help those who are much less fortunate.” In terms of improvements to the show, Smith suggested more tender transfers, better WiFi options and more careful routing of pontoon cables to avoid trip hazards. Kevin Bonnie, managing partner at IYC, pointed out that while the overall number of yachts on display at Monaco was the same as 2016, the number of world premieres rose from 39 to 45. He believes that “more yachts were sold in this show than in previous years” and added, “We also saw that there were more clients walking around, compared to the past two years, speaking the usual multitude of languages.” Bonnie was also full of praise for the organisers, Informa Exhibitions, saying, “MYS has worked hard to increase the number of yachts in the show, which is over 225 including anchored yachts. The organisers are constantly working on new initiatives (such as events, lifestyle-oriented activities, seminars and concierge programs) targeted at attracting and engaging new ultra-high-net-worth individuals. 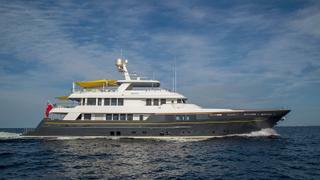 Continuing to host events like this and launching initiatives that can bring added value to clients and brokers is crucial and can help differentiate the Monaco Yacht Show from other such events.” The IYC fleet at Monaco 2017 included 44 metre Bliss (pictured above) and 62 metre Sealyon, which is jointly listed for sale with Y.CO. Bonnie was also full of praise for the organisers, Informa Exhibitions, saying, “MYS has worked hard to increase the number of yachts in the show, which is over 225 including anchored yachts. The organisers are constantly working on new initiatives (such as events, lifestyle-oriented activities, seminars and concierge programs) targeted at attracting and engaging new ultra-high-net-worth individuals. 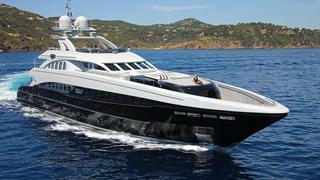 Continuing to host events like this and launching initiatives that can bring added value to clients and brokers is crucial and can help differentiate the Monaco Yacht Show from other such events.” The IYC fleet at Monaco 2017 included 44 metre Bliss (pictured above) and 62 metre Sealyon, which is jointly listed for sale with Y.CO. 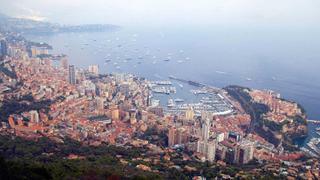 Jamie Edmiston, chief executive at Edmiston & Company, commented that Monaco “is still the best show in terms of concentration of big yachts”, but was more sceptical when it comes to discerning any significant market trends. “There are dozens of answers you can get depending on who you ask. Explorer yachts, big yachts, small yachts, fast yachts, slow yachts, yachts with blue hulls, yachts with beach house interiors — you name the trend and someone will find it,” he argued. Edmiston’s yachts for sale at MYS 2017 included 47 metre Princess Too, 52 metre Rasselas and 59 metre La Pharaon. “Our fleet was specifically chosen to deliver an unbeatable mixture of value, immaculate condition and owners' motivated to sell, and the response from visiting clients has been impressive," Edmiston added. "With offers made, many people returning for multiple viewings and sea trials booked, we hope that in due course we may see some sales." 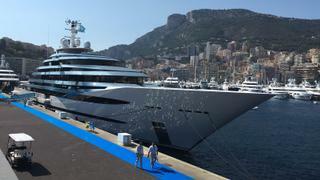 Jamie Edmiston, chief executive at Edmiston & Company, commented that Monaco “is still the best show in terms of concentration of big yachts”, but was more sceptical when it comes to discerning any significant market trends. “There are dozens of answers you can get depending on who you ask. Explorer yachts, big yachts, small yachts, fast yachts, slow yachts, yachts with blue hulls, yachts with beach house interiors — you name the trend and someone will find it,” he argued. Edmiston’s yachts for sale at MYS 2017 included 47 metre Princess Too, 52 metre Rasselas and 59 metre La Pharaon. “Our fleet was specifically chosen to deliver an unbeatable mixture of value, immaculate condition and owners' motivated to sell, and the response from visiting clients has been impressive," Edmiston added. "With offers made, many people returning for multiple viewings and sea trials booked, we hope that in due course we may see some sales."